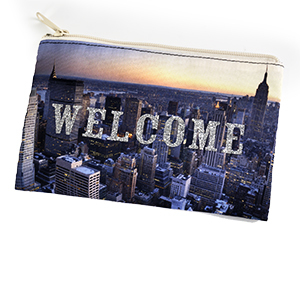 Make a dazzling impression with a sparkle glitter cosmetic bag, perfect for storing your accessories, make-up, or simply as a pencil case. 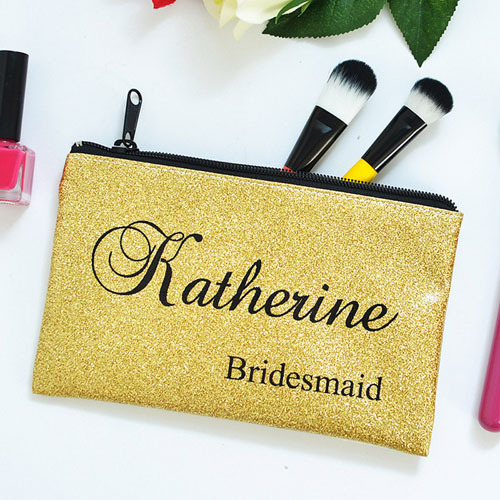 Add a little sparkle to your day by personalizing a real glitter cosmetic bag. In a choice of two colors and a range of sizes, you can even add a hand strap for extra convenience.